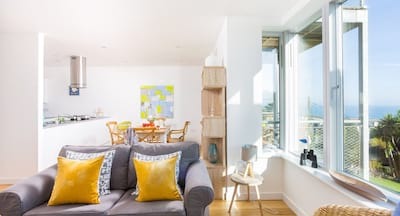 Add a little coastal luxury to your Cornish holiday and check-in to chic apartment style at Morwenna. 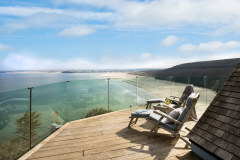 This wonderful holiday home oozes light, space and cool contemporary living all set to the jackpot views of the blue St Ives Bay and the white sands of Carbis Bay beach below. Choose from 2 beautiful bedrooms each with a unique fresh style, 2 indulgent bathrooms and a welcoming open plan living and dining space. 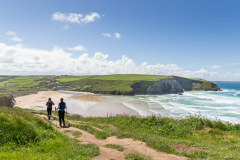 Morwenna offers superb beach access, private allocated gated parking and ensures the perfect base from which to explore this magical corner of Cornwall. ***Please note there is currently development work taking place within the neighbouring site. The lovely sea views however are not detracted from and work is not being carried out over weekends. 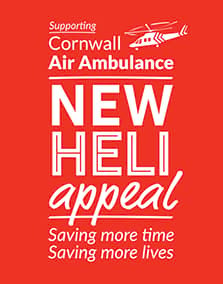 Please call the office for further details on 01872 24124. 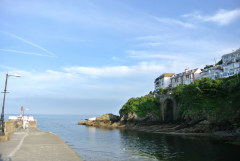 Morwenna is located on the 3rd floor of a smart apartment building in the heart of Carbis Bay, arrive to private gated access and your holiday starts here. An internal lift will bring you to your front door, once inside this wonderful space is flooded with natural light from the glass apex window which frames the blue seascapes perfectly. A central hallway leads to the hub of the home, the open plan living and dining space. Sink into the comfortable corner sofa and watch the sun sink into the bay or hunker down with a good book as the Atlantic surf crashes below in the cooler months. The circular dining table is thoughtfully placed to enjoy casual lunches, morning coffee or slap up suppers whatever the occasion. 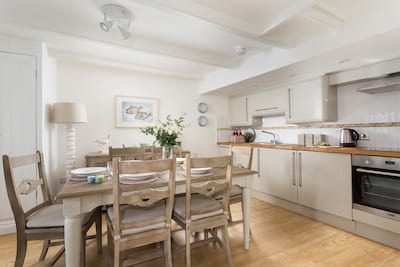 The fully fitted modern kitchen is separate but offers a large hatch so the chef in the party need not miss out on the holiday chit chat or coastal backdrop. 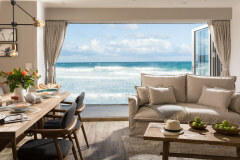 There are 2 bedrooms to choose from, the master bedroom includes a king bed, ensuite contemporary bathroom and Juliet balcony overlooking the sea and sand for the ultimate breakfast in bed-with-a-view! To the rear, bedroom one is no less considered with indulgent king bed and ample storage for all of your holiday kit. The stylish family bathroom completes the layout of Morwenna. Slide back the double doors from the living space and step out on the balcony of your very own vantage point looking across to the characterful harbour of St Ives, down to the sands of Carbis Bay beach with its azure blue swimming waters and further up the North Cornish coastline towards Godrevy Lighthouse and beyond, when it comes to Cornish coastscapes, Morwenna's views are hard to beat. Guests are invited to enjoy the communal grounds of the apartment building, beautifully maintained they brim with Agapanthus and Lavender as the path leads down to a private gate offering superb access to the South West Coastpath which leads down to the beach. 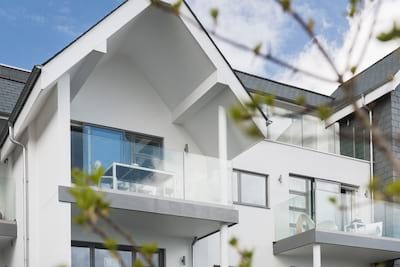 Whether you are new to Carbis Bay or it has become a family favourite destination, enjoy the quieter pace of life away from the hubbub of nearby St Ives. 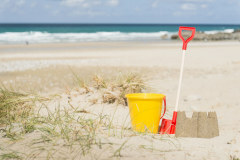 The award winning beach includes a beach cafe and beach shop whilst The Carbis Bay hotel welcomes non-residents to enjoy their stylish terrace and bars. 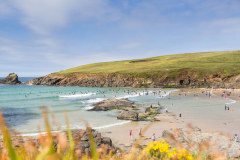 Leave the car behind and hop on the branchline train which hugs the coastline around the point and into St Ives where time can be spent soaking up the comings and goings of harbour life, trying some of Cornwall's finest fare, taking a trip around the bay or hitting the surf at Porthmeor. 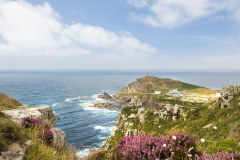 Further afield, the West of Cornwall is a magical place to explore from the picture perfect coves of Sennen and Porthcurno to the iconic landmarks of St Micheal's Mount and Land's End. 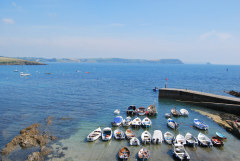 Morwenna comes highly recommended for a memorable coastal luxury holiday. We found a true Cornish Gem. Morwenna was the most beautiful holiday home and we cannot wait to return. The view, facilities, comfort and luxury provided the perfect holiday. Thank you. Very luxurious, decorated and furnished to a very high standard. Very clean well presented and we will be back next year . I am aware that you have many others beautiful properties, but on this occasion this property was exactly what I wanted and was exactly as expected. Well done again. We think the property was even better in the flesh. Excellent - So much so, this was our second visit. Lights left on for our arrival made it really welcoming. Brilliant customer service. 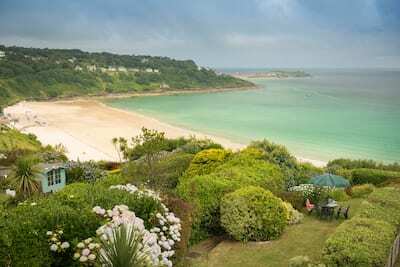 The apartment was excellent and the location perfect for the beach and the train to St Ives. I would happily recommend the apartment to friends and family.